Slip resistant treatment is vital to the safety of you, your family and guests. 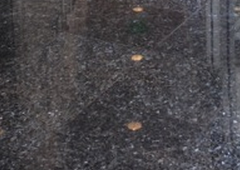 Improper resistant treatment can lead to natural stone, like marble, sandstone, limestone, and Travertine, and tile floors and patios/pool surrounds to be extremely dangerous when the surface gets wet. If the floor is not treated properly, even a dry floor can be a safety hazard. Natural stone and tile PROS are educated and trained to be sure the floor you choose will be as slip resistant as possible. They have access to slip resistant products that increase the co-efficient of friction on ceramic, porcelain, natural stone and concrete, both indoors and outdoors. Manufacturers are continually adding new anti-slip coatings and treatments for your safety.